A movie version of Notre Dame de Paris is a compelling idea. It has an artistic representational quality with a gritty style that could be really fun as movie but who could you get for the roles of such a movie? Oddly, one can just look to the last big budget Victor Hugo movie for a candidate for Esmeralda, one British actress Samantha Barks. 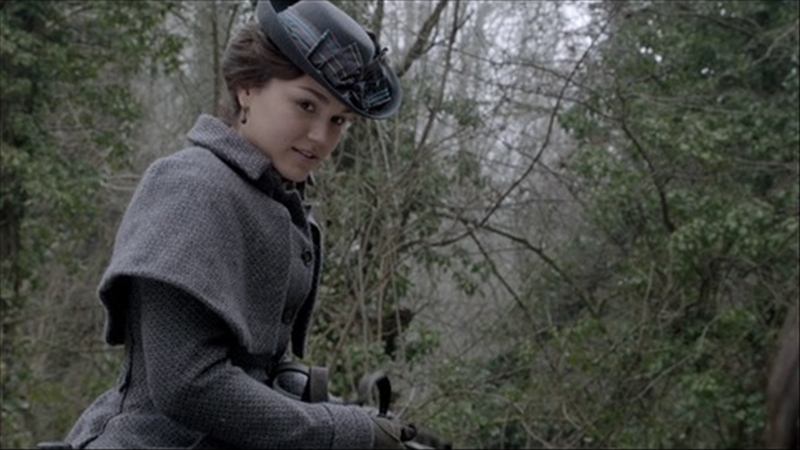 Samantha Barks played Eponine in the 2012 version of Les Miserables which rumor has it she beat Taylor Swift for. Prior to that Barks was part of reality show where the winner got to play Nancy in Oliver, called I’d Do Anything (appropriate name for a reality show) and played Eponine on stage. Since Les Mis (and at the time I’m writing this post) she has been in two other movies, Christmas Candle , and a minor role in Jack And The Cuckoo-Clock Heart . However Barks is in a few upcoming movies, so we’ll see how her career goes. On an acting front, Barks seems to be fine. Her depiction of Eponine was heartfelt but I don’t think the role of a tragic girl doomed to the friend zone isn’t all the hard to convey effectively. And her role is The Christmas Candle, it was was okay, though to be honest I really couldn’t get in that movie at all maybe because watching a Christmas movie in April doesn’t have the same impact, also it was beyond sappy, like chokingly saccharine. And I didn’t see the Jack And The Cuckoo-Clock Heart movie. However I think she could pull off Esmeralda on acting and singing end as Barks does have a lovely voice. But how is she on the looks? Much like Esmeralda, Barks has the dark eyes and the dark hair that Hugo described Esmeralda has having, though Notre Dame de Paris does seem to like Esmeralda with red hair, though I think Barks might look ok with a touch of red but that it not a necessity to the role. Barks also has an earthy, natural quality about her which I think for a Notre Dame de paris Esmeralda is a good thing. The musical Esmeralda never seem to be the innocent celestial creature that Hugo described but a beautiful, free-spirited dancer who loves life. Samantha Barks has everything that a good Esmeralda should have, now we just need someone to make the movie and cast her in it. I would love to hear her sing Live for the One I Love, plus how fun would it be if Taylor Swift were to play Fleur de Lys off Samantha Barks’ Esmeralda? Fun might be the wrong word. Anyway what you guys think of Samantha Barks for Esmeralda in a movie version of Notre Dame de Paris or just in Hunchback in general because she could just pull of the role in a straight adaptation though I see her more as Notre Dame de Paris Esmeralda. Could be interesting. She was only decent singer in Les Misérables the movie. Thank you for making this! I love this casting so much! I would certainly watch that! I hadn’t even thought of her playing Esmeralda, but I think that would be great.